Which is more likely to cause an injury….running fast, or running slow? Explosive speed workouts can put you at risk of injury. True. Running at your limit can put you at risk of injury. Also true! But believe it or not, if you spend too much time running slow, you may actually increase your risk of an overtraining injury. Today on the Doc On The Run Podcast we’re talking about about how slow may be your injury speed. Morton’s neuroma is a common cause of pain in the ball of the foot in runners. Doctors often tell runners to stop running when when they get a neuroma. Sometimes doctors even tell runners they need surgery to remove the inflamed nerve. But don’t be confused. Runners should always figure out how to keep running! This episode is inspired by Cathy, who sent a comment which all runners with Morton’s neuroma should find encouraging. Today on the Doc On the Run Podcast, we’re talking about how you should not let Morton’s neuroma stop you from running. Lots of running injuries are aggravated by bending of the toes. Plantar plate sprains, sesamoiditis, and Morton’s neuroma all get irritated when you bend the toes too much while you run. If you have any of these conditions it may help if you add some stiffness to your running shoe. One way to help decrease pain in the big toe joint and the ball of the foot is too add a carbon fiber insert to the running shoe. Today on the Doc On the Run Podcast, we’re talking whether or not you should add carbon fiber stiffening insoles to your running shoes. 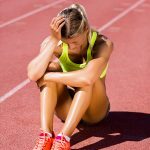 When you get an over training injury, what happens? It’s too much stress applied to one structure over too shorter time without enough recovery to actually let it fully heal before the next workout. There are a few things that you can pay attention to that often signal the possibility of an injury that’s coming on. Are your running shoes the best for your run today? You and I both know there are lots of different kinds of running shoes on the market. You can buy neutral running shoes, pronation control shoes, somewhere in between with structured cushioning, minimalist running shoes, maximalist running shoes. There are all kinds of running shoes, and they are all built for different runs, different foot types, and different runners. Every shoe has its place. Every runners longs the one perfect running shoe. Everybody wants the best running shoe…built just for you. Today on the Doc On the Run Podcast, we’re talking about how to choose the best running shoes for the run. Are your current running shoes putting you at risk for a stress fracture? 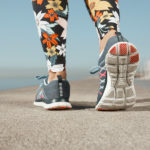 One common reason for too much bone stress is that a runner didn’t have enough cushioning because they were using a shoe that was too stiff, or wasn’t padded enough, or soft enough, and they were running on concrete or asphalt. That run, in those particular running shoes, beat up the bone too much and then the bone started to crack and develop into a stress fracture. Today on the Doc On the Run Podcast, we’re talking about what the worst running shoes for stress fractures. #164 What causes stress fractures?? Well, that is just not true. “Running too much” is the default answer, but that doesn’t make any more sense to me than telling you that not running will cure your stress fracture. Today on the Doc On the Run Podcast, we’re talking about what really causes stress fractures. 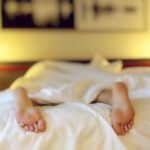 #163 How much rest does your body need? The number of hours you sleep really has a direct correlation with your risk for running injury. Running injuries never happen because you ran too far. Injuries happen because you loaded one structure too much, you beat it up too much, and you didn’t let it recover enough before the next workout. You don’y have to run less. But you have to rest more. It’s not necessary to spread your workouts farther apart. But you must maximize the recovery. Today on the Doc On the Run Podcast, we’re talking about how much rest your running body really needs. #162 The 3 crucial mistakes runners make with stress fractures. Barefoot running injuries don’t happen to novice runners. Most runners who decide to run in minimalist running shoes or run purely barefoot, they don’t take up running and decide to do that in minimalist shoes or barefoot right out of the gates. Most of the people I see, most of the runners I talk to, most of the runners who call me for a consultation and want to ask questions about their barefoot running injuries, they are experienced runners. Today on the Doc On The Run podcast we’re talking about the number one mistake runners make with minimalist running shoes. 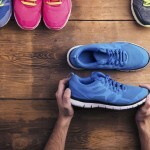 #161 The #1 mistake runners make with minimalist running shoes. 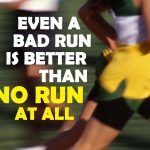 #160 Can I run my race with broken toes? Broken toes are common, but they can really hamper your training when you’re getting ready to run a race. If you break your toes a few weeks before a big race the question is always whether or not you will be able to run your race. Today’s episode is based on the questions sent in for a runner who broke a couple of toes and wants to know whether or not she’s going to be able to run her race in a few weeks. This episode will help you understand the questions to ask if you fracture your toes and you still want to run. Today on the Doc On the Run Podcast, we’re talking about whether or not you can run your race with broken toes. #159 When a fracture boot is necessary for a stress fracture in a runner. It’s no big secret that I really don’t like fracture walking boots for runners. I think doctors over prescribed them. When you use fracture walking boots for too long, it causes weakness, stiffness, decreased bone density, loss of neuromuscular connections, and a whole bunch of unnecessary increased risks where you getting another different overtraining injury when you’re actually back to running and full training. 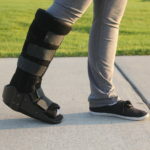 Today on the Doc On the Run Podcast, we’re talking about the 3 times you really might need a fracture walking boot if you’re a runner with a metatarsal stress fracture. #158 Achilles tendinosis treatment failures in a runner. If you’re a runner who gets tightness in your calves and develops Achilles tendinosis it can be very difficult to get it to heal and it can be very frustrating. Some runners fail multiple treatments including stretching, home exercises, physical therapy, braces, PRP injections and many other treatments. You just have to figure what it will take to get the Achilles tendon to heal so you can get back to running. Today’s episode is based on a question sent in by a runner who has failed many different treatments for Achilles tendinosis…but still wants to run. Today on the Doc On the Run Podcast, we’re talking about chronic Achilles tendinosis treatment failures in a runner. #157 Toe stress fractures from running. If you have pain and swelling in the toes after a run, you might be worried you have a stress fracture in the toes. But you have to figure out if the injury is in one of the bones of the toes, or if you have a metatarsal stress fracture instead. Because stress fractures in the metatarsals are common in runners, but stress fractures in the toes are rare. But you also have to make sure you don’t have a plantar plate sprain. Today on the Doc On the Run Podcast, we’re talking about toe stress fractures from running. 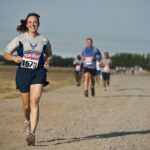 #156 Can I race with a plantar plate sprain? If you are running with pain in the ball of the foot that seems like a stress fracture, it could be a plantar plate sprain. If you get a plantar plate sprain right before a race, the obvious question is whether or not you should do the event. If you have a sprain of the plantar plate ligament, you may still be able to run. You just have to decide how bad the injury is, what your long-term goals are, and how badly you want to to participate in the event. Today on the Doc On the Run Podcast, we’re talking about whether or not you can run with a plantar plate sprain. Hydration is one of the limiters for many runners. It seems like often-missed, low hanging fruit that has the potential to boost performance in long events like marathons and ultra-marathons. I know as runners we all want to focus on working harder, suffering more and trying to come up with some new technique or training plan that’s going to get us faster and stronger. But in many cases when we are already training at a high-level there are very few gains to be made by working harder. Some of the biggest gains actually come from small changes in other areas, like improving nutrition, improving the quality of our sleep or by maintaining a state of optimal hydration. 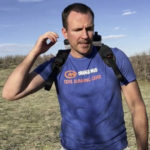 Today on the Doc On The Run Podcast, we are talking about staying hydrated during your long runs with Josh Sprague, endurance athlete, and founder of Orange Mud. #154 How often should I replace my running shoes? How often should you get new running shoes? That depends on how quickly they wear out! Some runners get new running shoes every few months. Some running coaches tell runners to replace running shoes every 200 to 500 miles. If you keep running in worn out shoes, you may be putting yourself at risk of an over training injury. But a lot of different variables can affect how quickly your running shoes wear out. If you understand the variables that can affect how long your running shoes last, you can make much better decisions about how frequently you need to replace your running shoes. Today on the Doc On the Run Podcast, we’re talking about how often you should replace worn out running shoes. 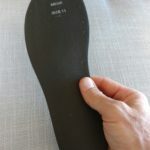 #153 Do I need custom orthotics for running? Do you really need custom orthotics if you’re a runner? If you’re a runner and a doctor suggests custom orthotics, you may need orthotic inserts, but you may not. At least not forever. Many runners just need custom orthotic therapy for a short time to help heal an injury and keep running. Today on the Doc On The Run Podcast we’re talking about whether or not you really need custom orthotics for running. When we run, we feel better. But what happens when you get busy, or even worse you get injured and you’re not really able to run. Do you get bummed out? Do you get anxious? Do you get depressed? 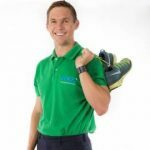 In this episode we have a fantastic interview with William Pullen who literally wrote the book on Dynamic Running Therapy. 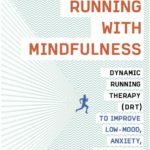 Today on the Doc On the Run Podcast we are talking with William Pullen the author of Running With Mindfulness about how Dynamic Running Therapy can improve low mood decrease anxiety decrease stress and help depression. #151 12 Steps to healing and running with a metatarsal stress fracture. If you are a runner with a metatarsal stress fracture, you can simply stop running and wait for the bone to heal. The other option is to figure out how to heal it faster and keep running while the stress fracture is still healing. If you do that, you can get back to running a lot faster! The process for healing and getting back to running is not that complicated. Today on the Doc On The Run Podcast, we’re talking about the 12 Steps to healing and running with a metatarsal stress fracture. #150 Single most important treatment for plantar fasciitis in a runner. If you are running and you get plantar fasciitis, you probably want to get back to running as soon as possible. Many doctors will tell you to quit running. Doctors may also recommend lots of other treatments for plantar fasciitis like cortizone injections, custom orthotics, icing, elevation, supportive shoes, physical therapy, non-steroidal anti-inflammatory drugs, and even surgery. Most runners with plantar fasciitis simply don’t need most of these treatments. Today, on the Doc On The Run podcast we’re talking about the single best treatment for plantar fasciitis in runners. #149 Running on a healing stress fracture is about goals and risk. Running with a stress fracture might be risky. But so is medicine. The treatments doctors recommend to runners with stress fractures are also risky. Just different kinds of risk. Medicine is all about risk versus benefit. Everything in medicine has risk. There’s risk with everything. There is risk with running with a stress fracture. There is risk with using a fracture walking boot when you get a metatarsus stress fracture. If you do use a boot, you’re may be more at risk of other over-training injuries later. So there’s risk even with not running! Today, on the Doc On The Run podcast we’re talking about how running with a stress fracture is all about risk management. #148 If it doesn’t hurt worse, can I still ramp up running? Should you ramp up your running training when your healing injury doesn’t feel like it does not hurt much worse while running? As soon as the healing stress fracture gets a little bit stronger, you should start ramping up your fitness so you don’t just lose all of your running fitness. The big question is, is whether or not it’s okay at that point to really ramp up training, keep running longer, keep running harder when it seems like the very mild, barely-noticeable foot pain isn’t really getting worse. Today on the Doc On The Run Podcast, we’re talking about whether or not you should ramp up your running when it doesn’t feel like it doesn’t hurt much worse when you resume running after an injury. 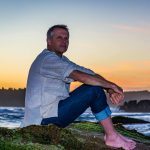 #147 How much stress reduction does your foot need to heal and run? Any over-training running injury is caused by too much stress applied to that one structure. Once it starts to heal and you are trying to return to running, you have to keep the overall amount of stress applied to that one healing structure low enough so it can continue to heal even while you ramp up your activity. There are lots of different ways to remove pressure. Just remember, you have got to do it in a graduated fashion, but the goal is to actually increase the amount of stress applied to that healing structure right at the time the healing tissue is strong enough to take it. Today on the Doc on the Run podcast, we’re talking about the stress reduction you need in your foot to heal while you continue to run. #146 Why injured runners should avoid out and back runs. The reason I like out in back runs when I’m doing long runs is it makes me committed. But out and back runs can actually put you in a really vulnerable position when you’ve been injured. If something starts to hurt during your run, if you’ve noticed some new odd sensation, you still have to get home. The whole key with training through an injury or returning to running sooner when you’ve had an overtraining injury is to make sure that you’re doing as much activity as you can do without making the injury worse. Today on the Doc On The Run Podcast, we’re talking about why injured runners should avoid the out and back. #145 Top 3 Road Hazards for Runners. A pothole is a classic road hazard. It is an obstacle in the road that can cause trouble. If you are going fast in your car and you hit a pothole, it can actually blow out your tire. If you are running and you step in a pothole, it can break your foot. Road hazards are avoidable dangers in your path that cause trouble. Hazards are avoidable for drivers of automobiles and they are avoidable true for runners as well. Today we are going to talk about the top three road hazards for runners. #144 The Best Night Splint for Runners. A tight Achilles tendon can cause a variety of problems for runners. 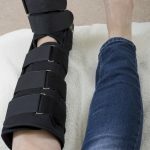 A night splint is a brace that is supposed to help stretch a tight Achilles tendon by holding the foot in a corrected position while you sleep. A night splint is often recommended to runners when they get plantar fasciitis or Achilles tendonitis. Today on the Doc On the Run Podcast we are talking about the best night splint for runners. 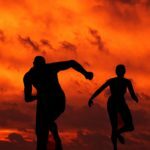 #143 How a marathon mindset can predispose you to injury. As soon as you sign up for a marathon you start to think about what it will take to finish it. You know you will have to build an enormous amount of fitness to finish. You come up with a plan. You design a series of of workouts. And you realize you are going to have to suffer. Before you even begin you first workout, you convince yourself that success will require pain and suffering. But if you maintain your marathon mindset and you just tell yourself you’re supposed to suffer you will suffer yourself right into an over training injury. And then you won’t have days of workouts to reorganize. You may wind up with weeks or months of completely avoidable time on the couch. Today on the Doc On the Run Podcast we’re talking about how a marathon mindset can predispose you to injury. #142 The One Goal when you have a running injury. This weekend I was speaking at the International Foot & Ankle Foundation meeting in Lake Tahoe, lecturing to a group of physicians, podiatrists, foot and ankle surgeons, all about running injuries. Great question and critical for any runner to understand this…When you’re injured, you have to face it. You have to shift your mindset. The most important thing you can do as an injured runner is to remember that your most important goal is to finish your race on time. Today on the Doc on the Run Podcast, we’re talking about the one goal you should have when you get a running injury. #141 How long before I can run on a stress fracture? The short answer is this, you can run as soon as the metatarsal bone has healed enough, becomes stable enough, to withstand the stress you apply to that bone when you run. 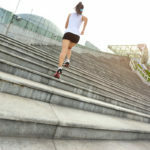 If you want to get back to running sooner, you have to figure out a way to maintain the maximum level of activity your healing tissues can withstand without causing any further damage and without impeding healing process. There is a fine line between healing while your running fitness diminishes and healing while simultaneously advancing your fitness. When it comes to healing and trying to figure out the line between too much activity and not enough activity, pain is your guide. Today on the Doc On The Run podcast, we’re talking about how pain can be used as a tool to recover faster from running injury. #139 Is it dangerous to run on a stress fracture? Is it dangerous to run on a stress fracture? Well that’s a great question. Stress fractures are one of the most common problems runners get when over training. 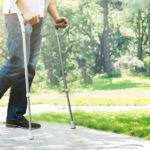 When injured, stress fractures can keep you off running for a really long time. Runners are often running on stress fractures. Sometimes knowingly, sometimes unknowingly. You have to figure out whether or not you’re going to really cause any permanent damage to the bone, or disrupt your long-term goals before you can decide whether or not it’s dangerous to run on a stress fracture. Today on The Doc On The Run Podcast we’re talking about whether or not it’s dangerous to run on a stress fracture. If you get pain and swelling in the ball of the foot you might become worried you have a fracture. Let’s face it. When runners get an aching pain in the foot at the first thing we worry about is probably a stress fracture. 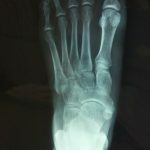 The good news is that in the overwhelming majority of cases where you have pain in the ball of the foot at the base of the toes, it is not usually a broken bone. But it can happen. In today’s episode we have an interview with Coach Craig Moss who is a 46-time marathon finisher. Today on the Doc on the Run podcast, we’re talking about a fracture in the ball of the foot and what it takes to get back to running with Coach Craig Moss. And it’s the same way with the healing process after you have an over-training injury. Don’t forget, when you get an over-training injury, all it really is is an exaggerated form of the same tissue damage that you get in normal training when you’re running. So, you can use that same sort of active plan being very intentional about when you’re going to heal, and how quickly. All of that must be deliberate, but you can’t have mistakes in healing the same way you can’t have mistakes in your workouts. Today on the Doc on the Run podcast, we’re talking about how healing a running injury does not happen by accident. This is the misconception: if you get injured, you have to sit still. You have to rest. You have to ”take care of yourself,” and you have to heal. And that is what physicians feed us runners most of the time; this idea that they should just calm down, sit down, chill out, relax, recover, take it easy…whatever. But you know as an athlete, there are only two possibilities: Either you’re getting stronger, or you are getting weaker. And if you’re getting weaker, you’re actually more injury-prone. But that all quickly changes, because you are healing. What you have to do is determine when you’re ready for the next phase of healing. How do you do that? Faster means “faster.” It means making decisions quicker. And forward means you and your doctor are making decisions more frequently so you can shorten the recovery time and move forward towards running and your next marathon, your next iron man, next trail run, whatever it is, faster. Runners really can fast-forward their healing process, but that requires you doing all the right stuff, not just the stuff the doctor tells you to do. So how does that really work? Today on the Doc On The Run podcast, we’re talking about how runners fast-forward healing. 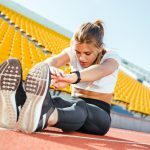 The key with recovering from running injuries faster than normal patients is to identify what it is helping your healing, and what may be hindering your recovery. 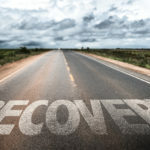 Runners don’t choose the rate of recovery. Runners choose our habits, and our habits choose our rate of recovery. What happens a lot of times is that when we’re in training we’re really religious and diligent about maintaining good habits. We protect our sleep. We make sure we get enough sleep. We go to bed earlier. We hydrate. We’re eating all the right foods. We’re protecting our nutrition, our health, and the recovery process. Then when we get injured, a lot of that changes. Today on the Doc On The Run podcast, we’re talking about why you shouldn’t have high hopes for healing if you have downhill habits. #133 Last week’s healing won’t heal you today. How does healing change on a weekly basis? It’s going to continue to change throughout the healing process from day to day. No, it’s not going to change a great deal in one day, but it’s going to change a lot in a week, and it’s going to change a whole lot more in two weeks. Everything’s getting stronger: your muscles, your tendons, your bones, your ligaments, everything. You’re getting stronger and stronger the whole time you’re training and the whole time you’re healing. Today on the Doc On The Run podcast, we’re talking about how last week’s healing won’t heal you today. Why do runners heal faster? Simple…You are not a normal patient if you’re a runner. Not only do you exercise more, you eat better, you sleep better. You as a runner are a well-primed healing machine and this is the bottom line. If you think about it, if you’ve been a lifelong runner, what have you been doing? You go out and you train. You do tissue damage and then your body rebuilds it. So you have been teaching your body, physiologically priming that system, to heal. Your body knows how to heal. Today on the Doc On the Run podcast, we’re talking about why runners heal faster. #131 New Pain 10 Days Before Marathon Should I Run Now? This morning I got a call from Amy in Houston, and she’s running a marathon in 10 days. She’s doing the Houston Marathon. Today is Thursday, so a week from Sunday she is running the marathon. She has pain, and she’s 10 days out, and wants to know if she can run now. That’s the thing. She says, “I got this new pain, and I wanna run and finish my training.” She admits that she didn’t really train effectively, so she didn’t train as much as usual. She normally is prepared for the marathon, but this year a bunch of stuff happened, just didn’t get to train as much. Her plan was to try to run 10 miles today, on Thursday, and then maybe do a final 18 mile run on Saturday, and then maybe a few runs next week, you know, five, seven miles, or six miles, or whatever a couple of times next week, leading up to the marathon next Sunday. Today we’re talking about whether or not you should run when you have pain about 10 days out from a marathon. 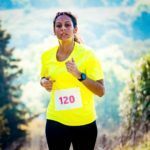 #130 Should I Taper Or Keep Training Before My Marathon? The purpose of a taper, is to really get prepared physically to do your best, actually perform your best, on race day. You should always taper if you have been sticking to your marathon plan, if you’re fully trained, if you’re fit, if you’ve really got all of your training in, then you can taper with confidence. But if you’ve done less than optimal training, i you didn’t stick to your plan, well what are you going to taper from? And somewhere in between there is where most people fall in. They missed a couple of workouts here and there, they want to extend the training period into that taper period, and that’s where you start getting into trouble. And if you had any kind of injury and you extend your training into your taper period, you are really playing with fire. That part I don’t think anybody would disagree with. So you just have to decide, given your scenario, how much training you did and how closely you stuck to your plan, whether or not you can push your taper a little bit, or if you should skip it all together. But that’s something you’ve got to talk with your coach and you have figure out what to do. Remember, the goal is to make it to the race, make it through in one piece, and then continue resuming in whatever training is and you have to think about what your goal is after that event to really make a clear decision. Today on the Doc On The Run podcast, we’re talking about whether or not you should taper or just continue training when you have soreness right before your marathon. I actually met David Goggins about 10 years ago or so. And he probably won’t remember me because I’m just a run-of-the-mill runner. But I met him at this event. It was a race in Chattanooga, Tennessee called the Wauhatchie Trail Race. 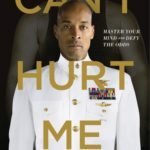 Since that time, David Goggins has gone on to do some pretty amazing things! But, the truth is, what most people don’t know is he did lots of amazing things before that…And that is what this book is all about. 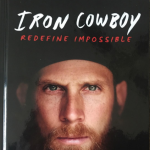 Today on the Doc on the Run podcast, we’re talking about the number one book every runner should read in 2019. #128 Are Black Toenails Really A Big Deal For A Runner? Are black toenails really a problem if you’re a runner? Well, that depends. The truth is, NO!…black toenails are not really a problem. They’re just ugly and maybe a little bit painful. But if you are a runner black toenails are pretty common. I mean, let’s face it. Who hasn’t declared their black toenails as some kind of badge of honor when you’re doing your first marathon or you’re finished an ultra marathon? I understand why people do allow themselves to get black toenails. Let’s face it. Runners are tough. We’re driven. We have goals. We really want to achieve them and we’re not going to let something like an ugly, sore toenail get between us and the finish line. But you have to really think about the real long term risk abuse leading to black toenails. Today on the Doc on The Run Podcast, we’re talking about black toenails from running. 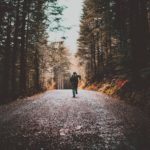 #127: Who Will You Be 1 Year From Now? 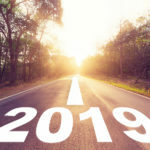 I’m recording this episode right around the start of the New Year, and this time of year everybody starts talking about their goals. Most people talk about where they want to be. What they want to accomplish, where they want to be, but I what I really think you have to think about is who are you going to be. Who are you going to be in one year, because … You know, it’s interesting. You would never expect your son to go into third grade and come out of third grade without having changed tremendously both physically, socially, athletically, intellectually…in every way. That kid’s going to change a lot in one year. We expect our kids to change a lot all the time. They’re growing, they’re changing, they’re improving, but then we grow up and what do we do? We get a house. We get a job. We have kids. We get locked into a job, and then some of that development stops, right? Now, if you’re a runner that’s probably not true. You probably have goals that you’re trying to improve on all the time. If you’re a doctor and you have a practice you’re probably trying to improve your practice in the way that you take care of patients through the value that you’ve provided them. You’re probably trying to prove all of that at the same time. Today on Doc on the Run podcast we’re talking about who you’re going to be one year from now. #126: What Is The Difference Between Tendinits And Tendinosis In Runners? This question comes up a lot for runners with Achilles tendon injuries. But it can happen with any kind of tendon. 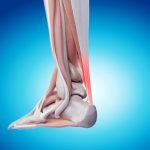 The difference between an injury to a tendon which has been labeled “tendonitis” versus “tendinosis” is really a difference in the amount of time that you have the condition and the amount of damage to the tendon itself. There’s been a long running debate about this. I was lecturing at a medical conference in Iceland this the summer. Specifically, it was a lecture on tendon injuries in athletes. One of the key points was that the old research claims inflammation does not play a role in the development of tendinosis is wrong. In this episode I will explain the difference between tendonitis and tendinosis. Let me ask you a question. Do you set goals when you are training for a race? What about when you are injured? I mean let’s face it, if you are training for a marathon you probably have a really specific goal right? You want to do a specific race on a specific day. You want to start at a specific time and you want to end at a specific time. So then you have a whole bunch of goals to try to get you to that particular outcome. But how about when you get injured? I see runners all the time and they seem to just completely get off track when this happens. All of their goals go out of the window. They cancel the race, they don’t have any goals for their next race and many times they have no goals at all for their healing. Today on the Doc On The Run podcast we’re talking about goals for healing your running injury. 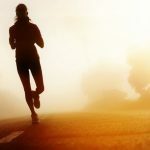 #124: How Long Will It Take To Heal A Running Injury? In this podcast episode we’re talking about how long it will take to heal a running injury. Today on the Doc On The Run podcast we’re talking about the 5 causes of big toe joint pain in runners. 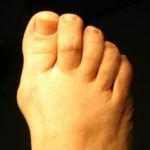 If you are a runner and you have pain in the big toe joint, the first step in treating it is figuring out what is actually causing the problem. 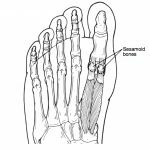 There are lots of different causes of pain in the big toe joint, but there are really five that affect runners most often. These are the most common that I see in runners, so I’m going to explain all 5 of the conditions to you. But not all these conditions mean you have to stop running. There’s whole range of conditions in the big toe joint, but you have to figure out which one of these is most likely to be causing your pain, to decide whether or not you should stop running, or whether or not you can keep running and get it to calm down while you’re still running. You just have to make sure you know which is causing the problem to figure out if you can keep running. I know I talk about this a lot but collagen is one of the most critical things when you’re healing any running injury. If you have a tendon, ligament, fascia that’s injured. All that stuff is made of collagen. If you get an ankle sprain, you get an Achilles tendon tissue, you get a peroneal tendon tissue, you get plantar fasciitis. Any of those things, it’s all an issue with collagen and all of those structures have to heal. If you think all you need to do is form collagen, that’s not really the whole story. 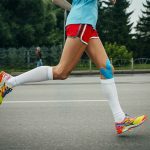 The fact is that when you get one of these injuries, the collagen and the formation of collagen in your body to try to heal that tissue can actually be working for or against you when you’re a runner. Today on the Doc On The Run podcast we’re talking about Collagen- is it working for or against running injury. #121: What’s The Difference Between A Doctor And A Librarian? In an ideal world, we would have research that actually studies everything, every variable, every possible scenario and then helps you know conclusively what will work and what will definitely not work. The problem is that research studies really don’t work out that way. There’s almost never a study that shows that something is 100% effective for everybody, all of the time, given all of the variables that can go into a patient’s given circumstances. When you’re a runner, that’s even way more complicated because you don’t just get injured and want to heal a specific injury like a metatarsal stress fracture or Achilles’s tendonitis. You want to run. You don’t want to just heal the thing, you want to run. You want to heal it as quickly as possible, so you can keep running. And you want to figure out why the injury happened in the first place so it doesn’t happen again. Unfortunately, there are many doctors who hide behind their stack of research articles and they don’t really help you understand what the real possibilities are for you. When you’re a runner you have to look at every possibility. In this podcast episode we’re talking about the difference between a doctor and a librarian. You’re never staying the same. You’re never the same person. You’re not the same person you were a year ago, and you’re not the same person now. You’re certainly not the same person you were 10 years ago either. And what you’re doing professionally, you’re probably not the same sort of person you were a year ago or 10 years ago with that either. The truth is pretty much nothing stays the same in life. And running injuries, they have a life of their own. But they’re never staying the same either. And today we’re going to talk about that. Now the other day somebody called me and they said, “You know, my injury just isn’t getting better. I have a metatarsal stress fracture and it’s pretty much just staying the same.” But the deal is is that, again, your injury is never the same. So you have to think about what’s changing, what’s getting better and what’s getting worse. Today on the Doc On The Run podcast, we’re talking about how your running injury is never staying the same. 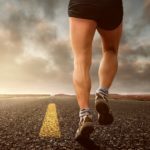 #119: Can I Run With A Split Peroneal Tendon? 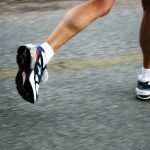 Can I run with a split peroneal tendon? Well, yes. There are two cases in which you can run with a split peroneal tendon. Number one. 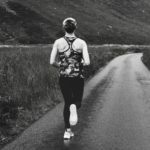 If you’re certain running will not make the peroneal tendons worse or if you can accept that you may make the injury worse and it’s worth the risk to you, given your specific goals. Today, we’re going talk about what all that means if you’re a runner with a longitudinal tear or a split in the peroneal tendons. So, based on those questions, we’re going to put together this episode to help you understand split peroneal tendons and what that means for you as a runner. You’re probably a runner and you’ve probably been injured for some time. You probably just didn’t get injured last week when you were running a race, but you probably got injured a while back, and then a lot of things happened. You probably took a little bit of time and kind of took care of yourself, took off a few days from running. Maybe you iced it. Maybe you changed your routine a little bit, tried to do a little bit shorter runs, tried to in some way kind of slow down your training, slow down the intensity, and see if you could just get back on track. Today on the Doc On The Run podcast, we’re talking about the top 10 myths about plantar fasciitis in runners. 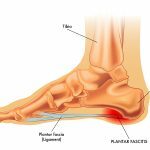 There are a lot of myths surrounding plantar fasciitis, and plantar fasciitis is common, but you have to understand when you’re a runner that not all the stuff you read is true. 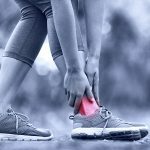 You can check out the course on runner’s heel pain if you’re really worried about this or you really want to keep running, you really want to figure out how to take care of it, everything’s in there. We created this monster course, it’s like two and a half hours of videos and it walks you through every step of the process of self diagnosis and self treatment of runner’s heel pain. A lot of people think that motorcycles in and of themselves are risky or dangerous. But is riding a motorcycle dangerous? In this podcast episode we’re talking about whether or not running is risky. 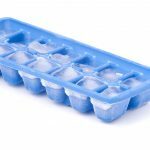 #115: Should A Runner Ice To Treat Soreness? I recently got a great question from a runner in San Francisco. Overtraining injuries happen because you have too much tissue damage, and not enough healing of that injured tissue before your next workout. If you want to make sure you never get an over training injury all you have to do is make sure that all of your soreness completely subsides before you do your next workout. Obviously that just makes sense. But it’s also an absolute impossibility for any training endurance athlete. I would be willing to bet that almost all actively training and racing endurance athletes are almost always in some state of soreness. You’re going to be stiff. You’re going to be achy. That’s a normal consequence of the normal tissue damage sustained during a workout. You’re always going to be healing and recovering. That’s part of getting stronger. Today on the Doc On The Run Podcast we’re talking about whether or not a runner should apply ice to treat soreness. Today we’re talking about how inflammation management can make you slower. After giving my lecture in Las Vegas a couple of weeks ago I’ve had so many different questions about inflammation that I thought we should do an entire series of episodes about inflammation management in runners. One of the things you have to understand first and foremost is that you don’t always have to prevent inflammation. Runners think that inflammation is bad. We hear all this stuff about inflammation, about how it causes chronic Achilles tendon problems and chronic disease. But inflammation is a normal consequence of training. You run, you train and when you do, you get tissue damage. That’s part of the process. You damage the muscles, you get little micro-tears and then your body repairs them and you get stronger. Inflammation is the very first step to repairing any tissue damage when you’re training and is the first step to getting stronger. So you have to have the inflammation as that initial response to the injury that you inflict on yourself when you’re training. So today we’re going to talk about some basic guidelines about inflammation management. Inflammation word cloud on a white background. Today I was out on a run and it was a great day. I was running in the sun and I was just trying to think about like what are the things that really slow runners down in terms of healing because the whole key with training efficiently is to avoid an overtraining injury and to really train as hard as possible, to do as much tissue damage as possible and then rebuild that tissue before you do your next hard workout so that you can actually increase your fitness, increase your strength, increase your speed and continue training. All of that back fires when you get injured. So if you listen to this you may be one of those runners who is actually recovering from an actual overtraining injury. But if you’re not then you’re probably recovering from the last workout. The whole point here is that there are really a bunch of things that we can do. I’m thinking about the really simple limiters. The things that we all do that we can easily capitalize on that. We can easily take into our training, into our daily routine and actually recover faster. And that is true for you whether you have a true overtraining injury that sidelined you or if you’re actively in training and you’re trying to make sure that you avoid one of those overtraining injuries by making sure that you recover before your next key workout. In this episode we’re talking about seven healing limiters that slow runners down. 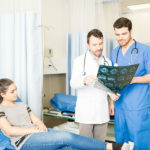 An MRI is an interesting diagnostic tool and we often think that an MRI is the best thing to show you what’s going on inside your body when we suspect you have some kind of injury and your doctors have a difficult time making a diagnosis. But the truth is there are two really good reasons runners shouldn’t just jump to an MRI and try to get an answer when they’re injured we’re going to talk about that today. The first reason is that MRI’s can lead you down the wrong path. 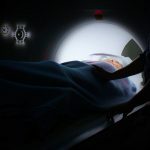 The second problem with MRI is instead of showing you something that maybe is worrisome that you even know existed, it can actually falsely make you think that nothing is wrong at all. Today we’re talking about 2 reasons you may not want to get an MRI if you’re a runner. In this podcast episode we’re talking about sub-fibular impingement syndrome. Why do runners get sub-fibular impingement syndrome? How can you tell if you have sub-fibular impingement syndrome? That may sound confusing to you but I am going to explain it. I’m going to talk about what this condition is, the signs and symptoms, what you can do about it. We are going to talk about this in detail but the reason runners get sub-fibular impingement syndrome first of all is that you have a relatively flat foot type that’s unstable and can roll over and smack into the heel bone and into the fibula. That’s the first thing, so if you really have high arches probably do not have sub-fibular impingement syndrome. What is sinus tarsi syndrome? I mean it sounds like a complicated name but it’s not really a complicated condition. The “sinus” means basically like a tube or a passageway and “tarsi” refers to the rear foot bones in your foot. So the tarsal bones are the big bone in your rear foot like the calcaneus heel bone or the talus that sits on top of the heel bone and sits underneath your tibia and your ankle joint. Those are the greater tarsal bones. Sinus Tarsi is actually a tunnel that runs between the talus and the heel bone. Your subtalar joint, the joint under which is important and runs under the neck of the talus in your subtalar joint and it’s a little cavity that has some fat, it has some nerve endings and it has some fluid that lubricates the joint. But sometimes you can get inflammation on the tissue that lines that joint and when you get inflammation of the lining of that joint and it hurts, that’s sinus tarsi syndrome. Today on the Doc On The Run podcast were talking about Sinus Tarsi syndrome on runners. 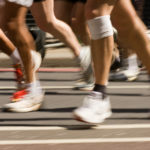 Why runners get extensor tenosynovitis? Basically what happens is that you get this problem from a number of things. The most common thing is overuse. When you get inflammation of the tendon sheath injury it’s usually because you work the tendons too hard. But with the extensor tendons, it really doesn’t happen that much unless you do a lot to hill repeats. But it’s not the tendons that get injured, it’s the inside of the tendon sheath that becomes inflamed and that’s what causes pain. The first thing is what exactly does that mean? All these medical terms you hear like extensor tenosynovitis, they all sound very long and they sound very technical or important but I think that’s because most doctors just want to charge you by the syllables. In this episode we’re talking about Extensor Tenosynovitis. Today on the Doc On The Run podcast we’re talking about why doctors misdiagnose runners. All I do is talk to runners who are injured and want to run and ninety nine percent of the time when a runner calls me for advice is because they aren’t getting better and they want a second opinion. Well much of the time the runner has been misdiagnosed. If you don’t have the right diagnosis, you will be doing the right treatment for the wrong problem and you’re not going to get better. In this session we’re going to talk about the top six reasons doctors come up with the wrong diagnosis when you’re injured. I spend a lot of time talking to runners who have metatarsal stress fractures. Let’s face it, they’re common. And a metatarsal stress fracture may be one of the most disruptive injuries to you as a runner can encounter. The reason metatarsal stress fractures are so worrisome to you is that most doctors will tell you it takes six weeks for bone to heal. And whether or not that’s actually true is entirely different episode. I was recently in Reykjavik Iceland giving a talk on stress fracture healing strategies in runners. All of the people in the audience were physicians. The main point of that lecture was to help doctors understand not everybody needs six weeks to heal a metatarsal stress fracture. And every single patient has the potential to significantly accelerate the healing process depending upon a number of factors. 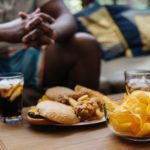 What you eat, how much you sleep, what you’re doing to activate the recovery process can all influence the rate of healing when you have a stress fracture. 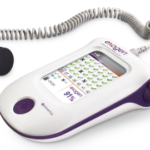 One of the super tools I recommend doctors consider for their patients is a bone stimulator. 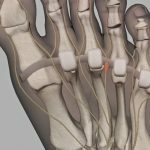 And in this episode I’m going to help you understand how a bone stimulator might help, if you get a metatarsal fracture. And although crutches are truly terrible, they can be a useful treatment to help any injured runner heal faster. Yesterday I was talking to my sister, who is of course, also a marathon runner. She has been running marathons way longer than me and she is always fit. She runs in the morning and then swims later in the day. Swimming is a great way to cross train, supplement your aerobic fitness, strengthen your core fitness and frankly stay cool and relax in the summer. But I got an email from a runner who had a bout of toenail fungus that was severe enough to need laser treatment to kill the fungus in the toenails. Now that I’m feeling “fungus free” – new mindset, a few days on the oral meds, new shoes, new yoga mat, flip-flops for the health club – I’m wondering: Is it OK to go back to swimming? This is one of my favorite leisure and workout activities at my health club (Club Sport). I take it that I should wear flip flops to and from the pool, etc. Any other advice or precautions? Yes! You can swim. You just have to make sure you don’t pick up any more fungus. The fungus doesn’t just jump up and attack your toenails. Runners and triathletes can get it, first in the form of athletes foot. 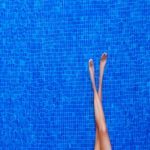 Today on the Doc On The Run Podcast, we’re talking about how to avoid getting infected with foot fungus from swimming pools. I actually did some research recently in preparation for a presentation I was going to be giving on running injuries at the International Foot & Ankle Foundation medical conference in Seattle. 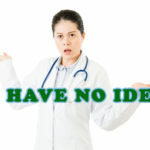 When I went to Medline, which is the search engine that catalogs medical research articles for the National Center for Biotechnology Information, I entered the search terms “running” and “injury.” That search produced 5,093 articles that were published in authoritative medical journals around the world. So not only do a lot of runners get injured, apparently a lot of researchers are writing scientific articles about running injuries. The primary objective of that research study was to figure out the true incidence of lower extremity injuries among distance runners. Basically they wanted to figure out how often runners really get injuries like shin splints, stress fractures, Achilles tendinitis, and plantar fasciitis. In this episode we’re talking about why you aren’t healing like a professional runner. Today on the Doc On The Run podcast we’re talking with Christiann Arbini about injury, recovery and what it takes to bounce back to national championship racing after a doctor told her she was done. For years I’ve been saying you should fire your doctor when they try to rob you of hope and Christiann was a great example of how are you can succeed even if the conventional medical wisdom is not really on your side. Christiann qualified for the 2018 USA Olympic distance national championship triathlon race and that’s not really the awesome part. The best part is that she did that after she suffered a serious injury while skiing and was told she might have to hang up racing altogether. 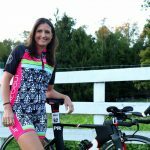 Not only is she racing but she also has a thriving coaching business for athletes. Christiann Racing is both a wellness coaching business which is dared to be fit for life and through that Christiann encourages athletes to reach for big goals, inspires them to succeed and helps you to become the best version of yourself. 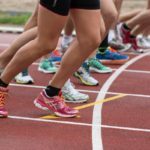 #101: How Can A Runner Heal A Plantar Plate Sprain? 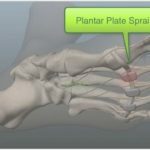 A plantar plate sprain is an overstretched, possibly even partially ripped ligament on the bottom of one your little toe joints in the ball of the foot. Today on the Doc On The Run podcast we’re talking about how a runner can heal a plantar plate sprain. You have to address all three if you really want to get better quickly and get back to running! 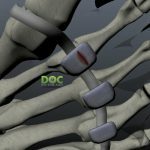 D#98: Can I Run With A Stress Fracture In The Heel Bone? Today on the Doc On The Run podcast we’re talking about whether or not you should run when you have a stress fracture in the heel bone. The heel bone is an irregular bone. It’s an odd shape. It’s not tubular. It’s not square. It’s very thin on the outside and squishy on the inside. It’s really kind of like a hard boiled egg. A hard boiled has a hard shell on the outside and if you drop it cracks, but it does not really deform. That’s usually what happens with heel bone when it actually fractures. But if you drop it hard enough, it will completely explode. The shell bursts outward in a bunch of little pieces and then we have to go and try to put it back together. In this session I’m going to explain to you about whether or not it’s a good idea and how you might be able to run with a stress fracture in the heel bone. 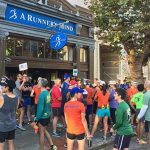 #97: Can I Run With A Partial Rupture Of The Plantar Fascia? Today on the Doc On The Run podcast, we’re going to talk about whether or not you can run with a partial rupture of the plantar fascia. Can I run my race if I have a partial rupture of the plantar fascia? Well that’s a question I’ve got in a number of times from runners who’ve been to the doctor, they thought they have plantar fasciitis, they were told they had a partial rupture or a tear in the plantar fascia and then they want to know if they can do their race. In this session we’re going to explain how you can decide whether or not you really can or should run when you have a partial rupture in the plantar fascia. That may seem like a silly thing like you think if you’re wearing a fracture walking boot, there’s no way you’re going to run a hundred miles. But there is a patient I just had a consultation with yesterday on the phone and we were talking about this because she’s actually signed up for a one hundred miles trail race, she wants to do this ultramarathon and she’s having a problem. The task is to figure out really is it safe for her to do this run which is a hundred miles basically a month away or not. So we have a long talk about this and it was really interesting because she’s very smart. She’s had a couple of injuries over the years. She totally understands running. She’s a multiple sort of level endurance athlete. 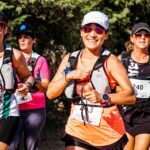 She has had a number different races, she has done lots a races and all kinds of races, strictly running, triathlon, all kinds of events and so she knows a lot about the process. In this lesson we’re talking about how a couple of days in a fracture walking boot can actually help you decide whether or not you might be able to run a hundred miles. 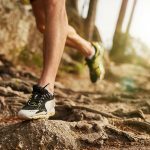 #95: Can I Run With A Metatarsal Stress Fracture? Stress fractures are extremely common. But first thing is that if you’re going to figure out how to run the race, if you should run the race, whether or not it’s a good idea to run a race, you have to really understand what really is metatarsal stress fracture. Doctors want to put everybody in the same little bucket of “You have a metatarsal stress fracture. You can’t run.” That’s not true at all. 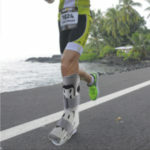 In fact I have had lots of patients who have actually had not only done an Ironman but I had one that actually had her fastest Ironman ever, four weeks after she was diagnosed with a metatarsal stress fracture and she was told to wear a boot for six weeks. Today on the Doc On The Run podcast we’re talking about whether or not you can run your race if you have a metatarsal stress fracture. 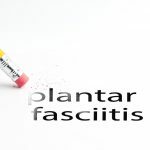 #94: Can I Run With Plantar Fasciitis? A lot of doctors tell you stop running if you have plantar fasciitis. Well, the idea is that you’re stressing the plantar fascia when you’re walking on it and of course when you’re running. The main reason I wanted to have him on the podcast today is he actually had this experience with physical therapy that can help people understand how to better get your physical therapists and doctors more on track with your goals instead of just focused on the injury. 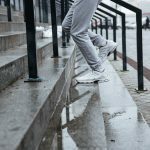 #92: Can I Run With Peroneal Tendonitis? In this Podcast we’re talking about the five main reasons doctors tell you to stop running. Healing takes time. The longer you take to recover the more fitness you’re going to lose. But when you’re an injured runner the less time you spend healing the sooner you are going back to running. So we all want to heal as quickly as possible. When doing virtual doctor visit consultations with patients over the phone or via webcam, just about every patient who comes to me for running injury advice is trying to figure out how to get better faster. After many years of working with runners I have identified a few types of runners who seem to take a lot longer to get better. 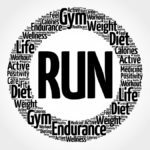 So it may help you to think about each of these different types of runners who don’t get back to running as quickly as possible and see if you have any these characteristics yourself. In this episode we are talking about 4 types of injured runners who won’t get back to running quickly. If you are a runner with plantar fasciitis, you don’t need to watch hundreds of different videos to get better. You just have to do some simple things at home consistently and your heel pain will go away. If you do the right things, but you’re not getting better, then the chances are good you probably don’t have plantar fasciitis and have been misdiagnosed. Runners are so frequently misdiagnosed with plantar fasciitis that I even wrote an entire book on Runners Heel Pain that you can get on Amazon. Even after I wrote the book on heel pain, runners kept calling to schedule virtual doctor visit consultations on Skype where they can actually talk to me and ask me questions. I pretty quickly realized they were all asking the same questions about what I do to diagnose and treat runners when I see them in person. 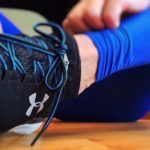 In this podcast episode we’re talking about 5 Plantar Fasciitis Treatments Your Doctor is Selling that Runners DON’T Need! Today on the Doc On The Run Podcast we’re talking about the only three steps runners need to heal plantar fasciitis. You don’t need to watch a hundred of different videos to get better. If you do these three things and you really have plantar fasciitis you should start getting better. In this episode we’re going to talk about the only three treatments needed to heal plantar fasciitis in almost every runner. If you’re not getting better, then the chances are good that you probably don’t have plantar fasciitis and have been misdiagnosed. This problem is so common that I even wrote an entire book on Runners Heel Pain and you can get it on Amazon. Even after I wrote the book on heel pain, runners kept calling to schedule Virtual Doctor Visit consultations on Skype where they can actually talk to me and ask me questions. I pretty quickly realized they were all asking the same questions about what I do to diagnose and treat runners when I see them in person. So then, we even created an online course on Runner’s Heel Pain that teaches runners like you how to do their own self-diagnosis and make sure your are doing the correct treatment once you know which condition is really causing your heel pain. We’ve put links to the book and the course at the bottom of the show notes for this episode. Check those out if you’re confused about whether or not you actually have plantar fasciitis. But you don’t really need the book on Heel Pain or the course on Heel Pain if you just have plantar fasciitis. 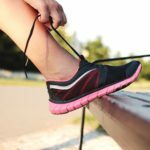 Let’s talk about what plantar fasciitis is, and what you as a runner have to do to get rid of plantar fasciitis. 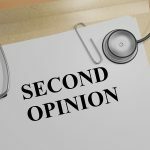 Today on the Doc On the Run Podcast were talking about how runners can get the very best second opinion. The other day I had an interesting conversation with a runner who has had a really difficult time recovering. The bottom line is that she had a couple of surgeries that didn’t work out exactly the way she expected and now she is still having trouble. So we were having a conversation about how she can make sure that her current treatment plan is the best plan to get her back to running. We talked about all different kinds of surgical options, different approaches and how the doctor’s decision making process works. And through the course of that conversation I realized that many runners just don’t understand how they should approach a doctor when they’re getting a second opinion. Have you ever had a race that you really only made it through just because you believe you can do it? Sometimes you get to a place where it seems like all you have left is hope and when you get to that place it seems like hope is really all that you need. Today I was doing a remote consultation call with a frustrated runner in Texas. We worked through her problem and came up with some options that should help her figure out what’s really going on and get her back on track. That was a really nice thing to say but it really brought up a lot of things for me because I realized a lot of doctors do not offer hope. In fact, they do quite the opposite. 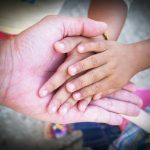 Today on the Doc On The Run podcast were talking about hope an underappreciated, but invaluable commodity. Today on the Doc On The Run podcast we are talking about how you can use the power of meditation to relax and heal. Jason Stephenson has been involved in the meditation and relaxation field for over fifteen years and he even has a YouTube meditation sleep music channel that has over 700,00 subscribers with over 90 million views. For whatever reason when runners become injured they don’t really seem to recognize the value of meditation. Maybe it’s just that they’ve lost their focus and they kind of forgot about it. Maybe they’re distracted because they’re kind of upset that they signed up for race they don’t think they’re going to get to run it. But in this episode Jason’s going to help us all understand a little bit more about meditation, living in the moment and how meditation has helped him and how it maybe can help us runners as well. Every day I talk to runners who tell me their doctor said they have to stop running. Just stop and think about that for a minute. A runner is told to stop running. In this episode we are talking about how not running is optional. #83: There Is No Key To Healing. It’s A Combination. Today I was on a 15 minute Virtual Doctor Visit call with a runner who has been trying to get over a nagging case of Achilles tendinitis and still wants to do well in the Boston Marathon. It may not surprise you to hear that he is worried about how skipping long runs to protect the Achilles tendon will make it very difficult for him to have a good run in Boston. He’s been doing all the right stuff. He has taken the right steps to remove the inflammatory fluid around the Achilles tendon. He’s been doing the right supplementation routine to help rebuild the collagen. He’s been doing the right workouts to help break up cross-linking and reorganize the collagen alignment in the Achilles tendon. He has been improving but, he had very mild setback, got a little swelling and it made him worried. So, he just wanted to have a quick call to talk about his progress and figure out whether or not he needed to stop running or shift to some different activity. 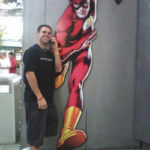 In 15 minutes we were actually able to come up with several different ways he could augment his training to add some longer workouts that wouldn’t put as much stress on the Achilles tendon. Today on the Doc On The Run Podcast we’re talking about what a runner can do to help the plantar fascia after plantar fascia surgery. Today on the Doc On the Run Podcast we’re talking about the special considerations overweight runners need to think about when they want to get to their goals without getting injured. I am really excited to have Gary Stotler on the show today and Gary is a guy who is truly inspirational. 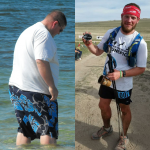 He actually went from 400 pounds to running 100 miles. I’m really excited to have Dr. Stephan Guyenet as a guest expert today. 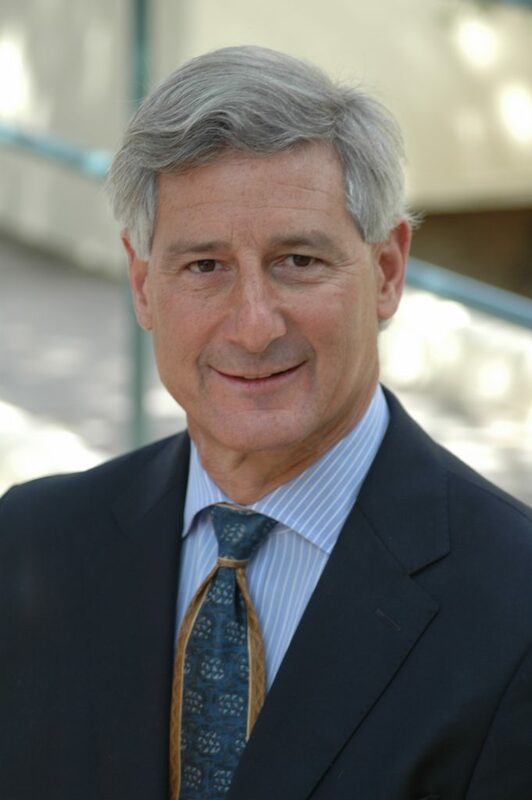 Dr. Guyenet spent 12 years at the University of Washington as a neuroscience and obesity researcher. Much of that time he was studying the role of the brain in eating behavior and body fatness. His publications have been cited more than 1,400 times by other scientists and in peer-reviewed scientific publications. He is the author an intriguing book entitled “The Hungry Brain” which explores the neuroscience of overeating, focusing on the following perplexing question: Why do we overeat, even though we don’t want to? 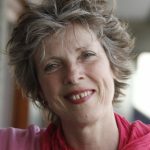 Today on the Doc On The Run podcast we’re talking with Linda Hall about meditation and how to focus on the mind-body connection and stress management as a tool that runners can use to recover faster, decrease the risk of running injury and hopefully even recover from overtraining injuries. 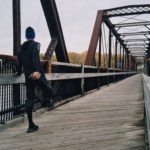 #78: What Is Synovitis In Runners? 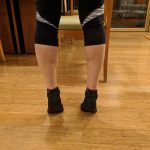 I recently met Kim and she was explaining to me that she had an Achilles tendon rupture and then developed this same kind of muscle atrophy we all become concerned about. Fortunately for all of us, she was willing enough to come on the show and share her experience. We are also going to talk about some strategies for avoiding all of the weakness if you ever have to wear fracture walking boot. Interestingly, elite athletes have actually been cited as a group having poor sleep quality and reduced quantity of sleep in comparison to the general population. Why is that? The problem with running injuries is that they are easy to ignore. A little tightness here or little achiness there is nothing compared to the pain you feel in those final few miles of a marathon. Runners are used to ignoring pain. One of the most important elements of training for endurance sports is learning how to endure. After all, enduring is the name of the game. You have to learn how to keep running when your quads tell you to quit. You learn to ignore the burn, tune out the noise and keep going. You have to learn how to suffer. It is just not surprising that runners ignore the early sensations they can signify the start of a running injury. What we have here, is failure to communicate. Your running injury didn’t start the day you called a doctor for help. Your running injury started weeks or months before you told anybody about it. But I would be willing to bet that you knew it was there. Deep down inside, you knew something was wrong. Maybe you didn’t want to see it. Maybe you didn’t want to feel it. Maybe you didn’t want to acknowledge it. But I’ll bet you had some subtle clue trouble was brewing. 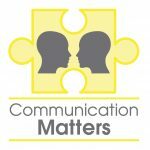 Today on the Doc On The Run podcast we’re talking about how communication can help prevent running injuries and help running injuries heal faster. A goal is not a fantasy. A goal is not a dream. It’s a place you clearly want to end up. If that goal is important to you, I believe you can get there. 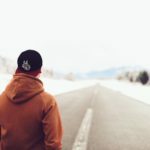 No matter how far-fetched, outlandish, or seemingly difficult to achieve, there is always a way to get there.They set all kinds of goals for themselves, their families, their finances, and of course, their athletic goals as well. For most people the process of goal setting includes some analysis of the past. Maybe your just look at how fast you have run historically. Maybe you look at how much money you made last year. Maybe you look at how much time you spent with your family. In all likelihood your goals are partly based upon your past performance. Part of the reason we base or future upon our past achievements is that we want to make sure that our goals are achievable. After all, no one enjoys failure. Today on the Doc On the Run Podcast we’re talking about how injured runners should focus on the goal. Over and over patients tell me their doctor has told them to quit running. The doctor has said that running is at the root cause of the running injury. B.S.! Breathing doesn’t cause lung disease. Eating doesn’t cause stomach upset or heart disease. Driving doesn’t cause automobile accidents. Spending money doesn’t cause bankruptcy. Running doesn’t cause running injuries. Running isn’t the problem. It’s the choices we make when we are running (and recovering) that leads to a problem. If you’re a runner it’s important you understand first and foremost that running does not cause running injuries. And if you happen to get injured and you seek treatment for your running injury it’s important you understand how to talk to your physician and convince your physician that running is not the problem. Metatarsal fractures are extremely common. In fact metatarsal bones are fractured more often than any other bones in the foot among runners. Because these little bones happen to be the longest bones in your foot they’re also crucially important to the stability and structure of your foot. So you have to make sure they heal before you can get back to running with confidence. 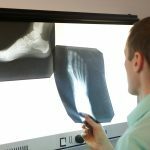 X-rays are the most frequently used diagnostic tool to evaluate the positioning and state of healing of fractured metatarsal bones. But there’s a lot of variability in the appearance of a fractured bone when you’re looking at it on an x-ray. In this week’s podcast were talking about how x-rays show metatarsal fracture healing. As we all know stress fractures in the foot are one of the most common overuse injuries among runners. 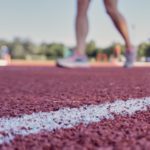 But just because stress fractures are common, it doesn’t necessarily mean that every runner who gets an aching, throbbing pain in the ball of foot has a stress fracture. And even if you do have a stress fracture you have to figure out what that really means. So, here are the 10 steps to use when you’re trying to figure out whether or not your stress fracture has healed enough to resume running. 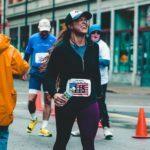 Today on the Doc On The Run Podcast I’m really excited to have Marla on the show to talk about her experience with recovering from a running injury. Running injuries can be really difficult for lots of reasons and one of the reasons I think they seem to be so difficult is that the standard of approach in medicine is to first tell you to “stop running”. Sometimes the standard medical approach, or the “standard of care” as we like to call it, can send you spiraling down this path of frustration and despair and it becomes more and more difficult to actually get yourself out of that spiral. 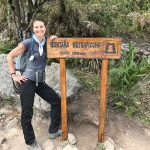 But Marla has a really great perspective on everything involved and trying to navigate the whole medical system and actually recover, not just using the standard approach which is usually offered to us when we get injured, but really trying to step back and look at all these different components of recovery from an injury and then try to really change what she was doing, assess what she was doing and make changes as she went throughout the course of recovery to try to really get the best improvement as quickly as possible. 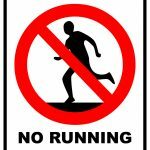 Today on the Doc On The Run podcast we are going to discuss how Paternalism fails runners. In retrospect, it is clear Bishop Wright had the wrong idea. His kids wanted to fly. And so they did. The doctor wants to protect runners from further injury. It’s part of the Hippocratic Oath: “First, do no harm.” It’s part of what they have sworn to do. But doctors should also encourage you to fly. They should look for new ways to get you from point A to point B. They shouldn’t look at the old methods of healing and recovery and think it’s enough for an injured runner. Nobody wants to ride a donkey from San Francisco to New York. It’s the doctor’s job to help you look to the sky. It’s the doctor’s job to help you fly. #68: Should A Runner Get An MRI For A Stress Fracture? Stress fractures are one of the most common running injuries. And every runner who gets a stress fracture has to, at least in same capacity, reduce their activity to heal. Sometimes the runner has to stop running for a brief period of time. Sometime you can just run less, modify the way that you run, or come up with some creative strategies to keep running. You never get a second chance to do your first marathon, so you certainly need to do everything possible to stay fit and not lose all that effort you put into training. 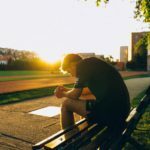 You also need to make sure that your injury is not just healed enough that you can start running, but then get sidelined a few weeks before the race. Obviously that would be heartbreaking. Today on the Doc On the Run Podcast talking about whether or not runners need to get an MRI when they think they have a stress fracture and want to get back to running. Pain is a part of running. There is a saying often lauded by athletes and we have all heard, “Pain is just weakness leaving your body.” We affectionately call our training studios “Pain Caves.” We bask in the discomfort of pain, knowing it will make us stronger. In training we embrace pain as an ally. But when you get an over-training injury, pain when running is no longer your friend. The pain forces you to run slower or run shorter distances. Pain forces you to skip workouts. Pain is wrecking your training schedule. Pain is in the way. Pain is your enemy. In this episode we’re talking about how a pain journal can help you get back to running sooner.You can keep track of that pain and use it as a tool to recover as fast as possible and get back to running. 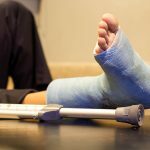 #66: Can I Run After Wearing A Fracture Boot? A few days ago a guy named Vito sent in a great question. This is a very common question I hear from runners simply because one of the most common treatments for running injures like stress fractures, stable ankle fractures, Achilles tendinitis, peroneal tendinitis and even chronic plantar fasciitis is a fracture walking boot. The truth is that a fracture walking boot is very effective at immobilizing the foot and ankle. That immobilization can certainly help many common running injuries heal faster. 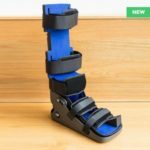 Today on the Doc On the Run Podcast we’re talking about when you can start running after wearing a fracture boot. 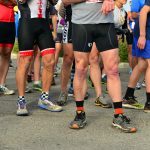 #64: Should I Wear Compression Socks If I Have A Running Injury? A few days ago I was doing a phone consultation for a patient who had a fracture in his fifth metatarsal. I was trying to help him understand how important it is to reduce inflammation to speed healing. During our call he asked a great question. In this episode were talking about whether or not you should wear compression socks when you have a running injury. Today on the Doc On The Run podcast we have Tina Deane who is the owner of Massage Works in Los Gatos. This episode will help you understand how runners and triathletes can use massage as a tool to simply run more, train more, train harder, workout more, build your fitness more with a lower risk of injury. Discipline is the difference between choosing what you want now and what you want most. The problem with discipline is that most runners often seem to perceive discipline and hard work are synonymous. After all, it does take lots of discipline and hard work to become a strong runner. We learn to suffer. Through discipline we learn to put on our running shoes and run in the dark. We run in the rain. We run through aches and pains because we have, through years of training, developed discipline. So it’s not really surprising that when an overuse injury stands between where we are now and where we had planned to be, many runners think they can just tough it out, power through and keep running anyway. In today’s podcast, we’re talking about discipline and what it takes to recover from running injuries. My ankles pop and click all the time. They have for years. 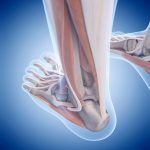 I am going to help you understand whether or not you might have subluxing peroneal tendons and whether or not it’s a problem. If you think you have peroneal tendon subluxation you probably have some popping or clicking sensation or maybe even pain at the outside of the ankle. So what causes all of that noise? Today on the Doc On The Run Podcast we’re talking about peroneal tendon subluxation in runners. Today on the Doc On The Run Podcast we’re talking about peroneus longus tendinitis, and what runners can do about it. In the earlier episodes we explained that peroneal tendinitis is just inflammation of one of two tendons on the outside of your ankle: peroneus brevis and peroneus longus. In most runners these are overuse injuries. Although they have similar names and they’re both in a similar location they each have very different functions when you run. In the simplest terms, they work together to act as your landing gear when your foot hits the ground and you decelerate. They both stabilize your foot. But these two tendons stabilize your foot in very different ways. In this episode we’re going to focus specifically on the peroneus brevis tendon, how it works, how it becomes inflamed, and what you can do to make sure that you calm it down. We will also discuss how you can strengthen the peroneus brevis so it doesn’t become a problem again that could disrupt your running in the future. Your doctor may have told you, or you may have read, continuing to run with peroneal tendinitis can result in permanent damage to the tendons. So a diagnosis of peroneal tendinitis can and should be concerning. 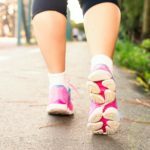 The most important thing is to figure out whether or not you actually have peroneal tendinitis or you have another condition that might be easier to treat, like peroneal tenosynovitis. 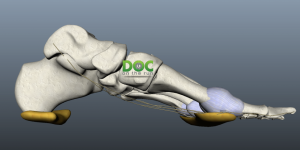 Today on the Doc On The Run podcast we’re talking about peroneal tenosynovitis in runners. 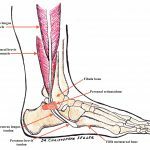 I recently had the honor of being interviewed by Runner’s Connect to contribute my thoughts on peroneal tendinitis in runners. This live recording was part of the 4-Day Injury Prevent Summit where Runners Connect interviewed 25 of the world’s most renowned running injury experts. This episode is going to be an overview on peroneal tendon injuries in runners. 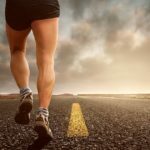 For most of you listening this, it will give you all the information you need to figure out what’s going on with your peroneal tendons and get back to running. Make sure you go to the show notes page and I’ll explain how you can also get access to the corresponding video lecture that was presented during the 4-Day Injury Prevention Summit. In Part 1 of our series on Achilles tendinitis we talked about how runners with mild forms of Achilles tendon injuries can decrease the inflammation, decrease the stress and tension on the Achilles tendon, get better and keep running. But we also talked about the unfortunate reality of some runners having a tendency to ignore these injuries when they are in there earliest stages. Because many runners have a high pain threshold you may not even notice the first stage of Achilles tendinitis. If you don’t notice there is a problem, it’s unlikely you will treat the problem. So you may be one of those runners who just really didn’t realize you were developing a problem with the Achilles tendon. You might have noticed some weird sensations that went on for months. If so, you may have developed one of the more severe forms of Achilles tendon injury. In today’s podcast we’re talking about how runners with severe cases of Achilles tendinitis keep running without surgery. Today on the Doc On The Run Podcast we’re talking about how runners with Achilles tendinitis skip the doctor visit and keep running. The Achilles tendon is the biggest tendon in the body. So when the Achilles tendon gets injured, the runner has a really big problem. If you neglect the early sign of problems with the Achilles tendon and develop a severe form of Achilles tendinitis, you can be crippled temporarily and have your running form altered permanently. In short, you may never run the same way again. 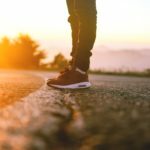 If you’ve been running with an aching pain in the back of your leg down near your heel and you worry you have Achilles tendinitis you’re probably freaked out and concerned that you’re going to have to stop running. But don’t worry. I’m going to explain to you exactly what runners do that helps them get over those early forms of Achilles tendinitis without ever seeing a doctor. 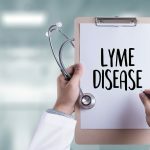 Today on the Doc On The Run podcast we’re talking about Lyme disease. I was recently out for a run on the Dipsea Trail which goes from Stinson Beach to Mill Valley California. 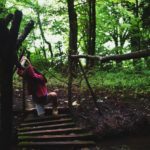 It is really beautiful and strenuous, but like most trail runs, it goes through the woods and there are a lot of critters living in the wood including ticks. While I was on that run, my legs were constantly dragging through brush, tall grass and limbs. 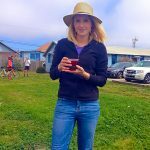 I kept thinking about ticks and I kept thinking about someone I met a few years ago at Ironman Cozumel and she has been on a terrible, yet truly inspiring journey with Lyme Disease. In thinking about all she has gone through with this horrible disease it occurred to me that many runners are simply unaware of the real risks associated with tick-borne illnesses and for that reason I thought it would be great if we could have her on the show to discuss everything she has learned about chronic Lyme disease and how to prevent it. Fortunately for all of us, she agreed! Pain in the ball of the foot under the big toe joint can have a few causes. So first and foremost, you want to make sure that you don’t miss a sesamoid injury. Your chances of dying in a hospital are highest in July. A study published in 2010 in the Journal of General Internal Medicine exposed one of medicine’s dirty little secrets. All medical internships, surgery residencies, and fellowships begin on July 1st every year. Because of this, July is simply the riskiest month have foot surgery or any other surgical procedure associated with hospitalization. You don’t really want to be the first person when a new foot doctor tries to make a surgical incision on your foot. You also don’t want that new, nervous, over-worked and sleep deprived intern fumbling through a pharmacy handbook while writing your medication orders at 4:00 a.m. You are far more likely to have a bad outcome in July for several reasons. In this episode, I will discuss the 5 tips to avoid surgery complications in July. 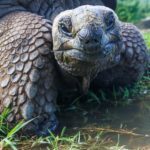 Is over-resting slowing your recovery? It might be. Sitting still is a killer for athletes. Not only does it bum you out, but a long period of immobilization can actually increase your chances of having another injury later. A few days ago I got a call from an athlete who had been unfortunate enough to have a serious injury that required surgery. So when he called me, he already had surgery and was well on the way to recovery. After six weeks of rest he felt like the rest was killing him. 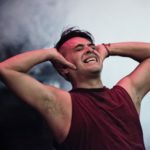 And he had just been told by his doctor that he needed another month or so of rest before he could start regaining strength and becoming active again. Today on the Doc On The Run Podcast we’re talking about how over-resting can actually slow down your recovery from a running injury. Let’s face it, the primary tool used by runners are running shoes. Although we often think about heart rate monitors, GPS watches and all sort of fancy fabrics for our running clothes, nothing will affect your performance as much as the very best, properly chosen running shoes. Given I am a sports medicine podiatrist with a practice catering solely to helping runners run, and I like to run, you can rest assured I always run in the very best running shoes. And not surprisingly, other doctors, and lots of runners ask me which running shoes are the best. That’s not an easy answer. Of course the short answer is that the best running shoes are the ones that work best for you. But you have lots of variables. Your foot type is probably different than mine. Chances are good that you’re a faster runner than me. You also probably have a different training regimen and set of goals for this year. Your running shoes are supposed to help you run further, decrease your risk of injury and protect you while you train. The very best running shoes are always an accurate reflection of the runner’s particular biomechanics, running form, training regimen and particular goals. So in this episode we’re going to talk about some of the ways you might want to reconsider your running shoe choices. 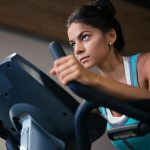 But if you do more tissue damage than your body is capable of rebuilding, and then you do another hard workout, you get an over-training injury. In this podcast we’re talking about overtraining myths, and other B.S. that you need to know to avoid an overtraining injury. 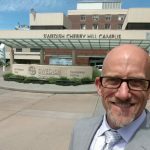 This week I was invited to lecture on Runners Heel: Pearls for Podiatric Physicians at the International Foot & Ankle Foundation Meeting at the Swedish Medical Center in Seattle, Washington. The very fir st step in healing a plantar plate sprain is to make sure that you don’t make the condition worse. Because it’s a tiny little ligament and it’s easy to make it worse! One of the less common ways you can get pain in the ball of the foot is if the cushioning within the foot becomes diminished. If that happens it can feel like you’re walking on rocks or standing right on the bones on the ball of the foot. If you think about it, when you stand up, your skeletal system, primarily the bones and everything that hold the bones together is what supports you. Obviously, you have a lot of bones in your foot. The bones are resting on top of the skin. So if you think about all that weight pressing down on the skin, what is it that prevents the skin from hurting? Well, it’s your fat pad. It’s the natural cushioning or padding between the bones and the skin at the ball of the foot. Today on the Doc On the Run podcast we’re talking about fat pad atrophy in runners. If you’ve been training for a marathon or any other event and you suffer a running injury the first thing that happens is that you become concerned that your foot is going to hurt and slow you down during your training. But then as things get worse you actually realize it may not just hurt when you’re running. You may have to change your training schedule or even stop running to get it to heal. If you’ve ever suffered this sort of contemptuous delivery of healthcare, you may have become concerned your doctor really doesn’t have your best interests at heart. Maybe she just doesn’t understand you or fully appreciate how important running is to you. There are many reasons why doctors will tell runners to stop running. And although sometimes it is necessary to briefly pause your training when you get injured, you have to be on guard for those times when it seems like your doctor really isn’t on your team. Is your doctor on your team? 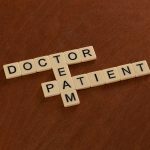 Today on the Doc On The Run podcast we’re talking about 5 signs your doctor may not be on your team. If you are a runner and you have pain in the ball of the foot there are really only a few conditions that could be causing the trouble. 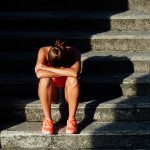 This episode is the third of a three part series that explains what you need to think about if you’re a runner seeking treatment for these problems. Previously we talked about pain in the ball of the foot caused by plantar plate sprains and neuromas. Today, we’re going to talk a little bit about another condition which is in a similar location in the ball of the foot and can also cause pain in runners. If you are a runner and you have pain in the ball of the foot there are really only a few conditions that could be causing the trouble. This episode will be the second of a three part series that explains all of the things you need to think about if you’re a runner seeking treatment for any of these problems. Last week talked about neuroma treatment in runners. Today I’m going to explain a little bit about another condition which is in almost the exact same location as a neuroma. The most common cause of pain in the ball of the foot is most likely a neuroma. 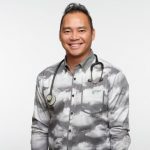 So in this episode we’re going to talk about neuroma treatments and give you some things to think about, and to discuss with your doctor…before you receive any potentially damaging treatment. In this episode we’re talking about the first steps you should take when you think you have an overtraining injury. 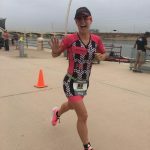 #35: What Does Metatarsalgia Mean To A Runner? If you are a runner and you start having pain in the ball of your foot, you might be worried that you have a stress fracture. So you have a couple of choices. One option is to go see your local orthopedist or sports medicine podiatrist. The second option is to stop running and see if the pain gets better. 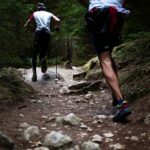 #34: What If You Sprain Your Ankle On A Trail Run? The unfortunate reality is that every single day, over 10,000 suspected ankle sprains show up in the ER. 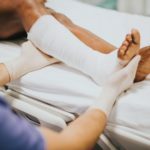 While an emergency room may be the best place for someone with a heart attack, it isn’t the best place to get treatment for a sprained ankle. Today on the Doc On The Run podcast we’re going to talk about the first things you should think about if you believe you need treatment after you sprain your ankle on a trail run. Today on the Doc On The Run podcast we’re talking with sports nutritionist and triathlete Heidi Buttery about Good Fat, Bad Fat and Fat Fueling as a way to fuel better and avoid running injuries. 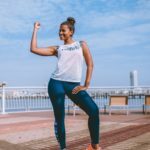 She will discuss what she knows as a nutrition coach, how that’s all tied together and to give idea of her approach, where she came from and what she’s up to now. #32: Can I Run With A Broken Toe? Last night I did a remote consultation for a patient who had a broken toe and wanted to get back to running. That discussion generated several thoughtful questions that I have heard before. These are all excellent questions for an injured runner! So we’re going to talk about all of the things that you should consider if you’re a runner and you break one of your toes, but want to keep running. 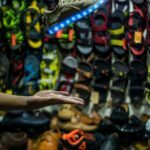 Minimalist running shoes, maximalist running shoes and barefoot running, they’re all some of the more recent trends in running and running shoe technology. 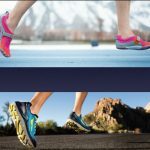 There’s a lot of debate around these different kinds of running shoes as well as different running forms and I was recently invited to give a lecture at the International Foot and Ankle Foundation meeting in Lake Tahoe on February 17, 2017. Today on the Doc On The Run podcast we’re talking about the differences between minimalist and maximalist running shoes. If you are a runner, and you got a running injury, you may have been to the doctor. And let me guess, your doctor told you to stop running. Today on the Doc On The Run podcast we’re going to talk about the ways stopping running can place you at higher risk of running injuries down the road. 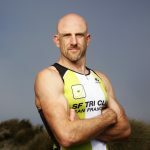 In this episode you’re going to learn about Brad’s approach to decreasing overused injuries that plague endurance runners and long-distance triathletes. If you are runner, you probably like to run. If your get injured, you probably still want to run. You need a doctor who will be on your team, not the other way around. Times in medicine have changed. It used to be that there was this very paternalistic attitude among doctors. Whenever the patient would seek treatment, the doctor would simply tell the patient what to do. The patient was expected to do as he was told. But in the last few decades the power has clearly shifted back toward the patient. Patients expect good customer service, expert advice and expect to get better. The advent of the internet has done more than any other single factor to shift the power of healing back toward the patient. 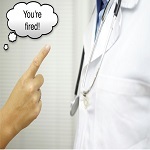 In today’s podcast, I will discuss the top five reasons runners should fire their doctor. 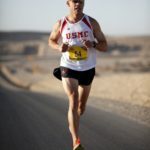 Today on the Doc On The Run podcast we’re talking with Darin about his history of issues with the plantar fascia and being an athlete and what it takes to get back to training and recovery and survive these types of injuries. 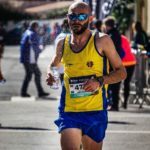 He shares his experience as a runner with a partial rupture of the plantar fascia who was able to get back to running and training. 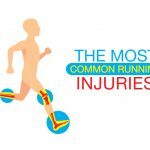 #26: When Do Injured Runners Really Have To Stop Running? That’s the big concern we all have as runners. It is a pretty common question when runners get injured. So today I’m going to share my opinion about when people should stop running and not stop running. All of the information I’m going to present to you today is based upon on a lecture that I first presented to doctors at the International Foot & Ankle Foundation meeting at the annual medical conference in Lake Tahoe. It’s really important that you understand what all the different surgical procedures mean in terms of the procedures themselves but also what that mean to you as a runner. I personally believe that my entire job is to help runners continue running and so I have a perspective that’s a little different than some other surgeons. 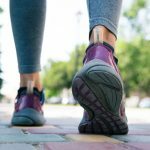 So we are going talk all of the special considerations that you need to take into account if you’re considering surgery on the plantar fascia. Which is better…clear healthy toenails or thick, yellow, black and blue or missing toenails? Running can be hard on the feet. We all know that lots of runners bash their toes. But neglected tootsies can lead to discolored toenails and even lost toenails if you’re not careful. In today’s podcast, I will discuss the Top 5 Mistakes Runners Make with Their Toenails. Jess is an amazing athlete. 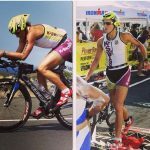 She got a Kona slot in only her second Ironman and then in 2011 became the 2011 70.3 Ironman World Champion and since that time she’s been racing Pro. On the past year Jess has had some major life shifts and I think that her experiences can help all athletes understand the importance of priorities and focus as life unfolds. She recently started coaching full time, she had a baby and then she got right back to racing. In this podcast, Jess is going to discuss about all the special consideration surrounding running, training and maintaining fitness before and after pregnancy. Dr. Mayo holds a Ph.D. in Exercise Physiology and is a registered dietitian (RD). He is an associate professor and has published close to 50 articles in lay and scientific journals regarding various aspects of fitness and nutrition. 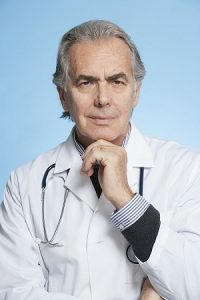 Also, Dr. Mayo has been quoted in magazines such as Men’s Health and US Weekly. Don’t worry, he doesn’t just write about this stuff…he walks the talk, too. JJ has done ultramarathons, he qualified for the Boston Marathon and he has finished 10 Ironman triathlons. He knows what it takes to use nutrition and apply it directly to putting miles on the road. 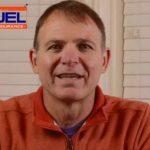 Today, he shares his expertise about nutrition and what it takes to fuel athletes not only in races, but in the recovery process. 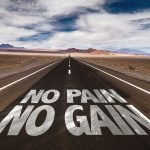 #21: Should I Worry About Pain When Running After My Injury Heals? One of the biggest concerns of injured athletes returning to activity is whether or not they should be concerned about pain when they start to run. This is a great question and certainly a valid concern. Pain is your body’s indicator that something is not right. But you have to figure out which pain is acceptable and which pain is unacceptable. In this episode, we are talking about how to discern good pain from bad pain when returning to running after you heal an over training injury. Kim is a long time athlete. She ran cross country in high school, she was Team Captain of both her cross country and track teams at Penn State. She has been doing triathlons for over 10 years. She’s won lots and lots of races. 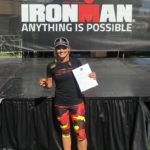 She was the amateur champion at Ironman Cozumel and Ironman Lake Placid. She’s even raced at the Ironman World Championships in Kona Hawaii 4 times. And she is fast, fast fast…she actually clocked a 3:01 Ironman Marathon time. Every day I get calls from injured runners. 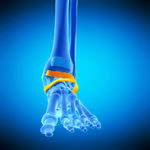 Whether their foot is aching when they run and they think they have a stress fracture or if they twisted an ankle on a trail, the number one question I get is, “should I get an x-ray?” Whether or not you need an x-ray depends upon several things. But x-rays don’t always tell the whole story. And there’s also a widespread misconception that if an x-ray doesn’t show anything then you need an MRI or Ultrasound to figure out what is going on with your foot. Frankly there’s just a lot of misunderstanding about X-rays and running injuries. So in this episode we’re going to talk about all of the myths about x-rays and running injuries. #18: Which Running Surface Is The Hardest On Your Feet? 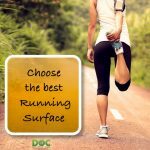 Last week we talked about how you can choose a running surface that will decrease the stress and strain on your foot. The one component of running surfaces that we did not address in that episode was how hard a certain kind of surface can be on your feet. Today we’re going to talk about concrete, asphalt, grass, sand and all the different running surfaces. Considering the different traits of the path you choose is important if you are hoping to avoid injury, or return to running after an injury and make sure you don’t get re-injured. If you are a runner with an injury that affects one side of your foot more than another, like plantar fasciitis, picking the right running surface can make the difference between being able to run and still heal, or running and making your plantar fasciitis much worse. San Francisco running expert, podiatrist and Ironman triathlete Dr. Christopher Segler explains how to pick the right surfaces to decrease the stress on your plantar fascia when you run with heel pain. 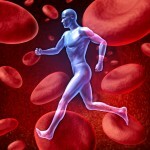 #16: Can Stem Cell Therapy Help Runners Heal Faster? Today we’re talking about how runners use stem cells to get back to running faster. 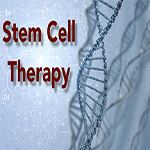 In this episode I am going to discuss how stem cells have the potential to transform into any and all of the cells necessary to help speed the healing process. Today we’re talking about the 5 biggest mistakes runners make when they think they have a neuroma. We’re going to discuss the most common mistakes I see runners make when they start to develop a neuroma in the ball of the foot. Today we’re at A Runners Mind speaking with Dawson, who is a true running shoe expert. We’re going to discuss the ways that runners can troubleshoot these injuries and keep running. Today we are featuring a recorded portion of an interview with Dr. Segler for an injury prevention seminar for RunnersConnect. 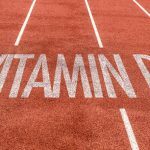 In this episode you’ll learn about the importance of vitamin D as it relates to muscle strength, not just bone density. You’ll also learn about strategies for listening to your body that will help you when you might be developing a running injury. In this episode you’ll learn some strategies to modify bad habits so you can heal faster and get back to running. To most runners an over-training injury is their worst nightmare. The reason that these injuries are so terrible to most runners is that they happen at the worst possible time.This often happens 4 to 6 weeks out from your race. So just as you start to see the light at the end of the tunnel, just when you start dreaming of your taper, disaster strikes. You get injured. But all is not despair. Today we are talking about why runners have an unfair advantage when it comes to healing an injury, and how those advantages can help you recover faster than the average non-runner. Fracture walking boots are one of the most often prescribed treatments for running injuries such as stress fractures and tendinitis. But runners have a much higher price to pay for immobilization. In this episode we are going to explain why fracture walking boots are one of the worst treatments possible for an injured runner. Today on the Doc On The Run podcast we are at A Runner’s Mind speaking with Dawson Alexander, who is a wicked fast runner and a bona fide running shoe expert. In this interview you get the dual perspective which will combine Dr. Segler’s knowledge of running injuries with Dawson’s experience and knowledge in running form analysis and running shoe selection. Together they will help you understand how your running form and proper running shoe selection can help you continue running even if you have plantar fasciitis. Felicity Joyce is a well known inspiring endurance athlete. She was the youngest female to win the Australian National 24-hour Track Championships and earned the young Australia Rising Star Award from Athletics Australia and Sports Person of the Year. She also knows how to overcome injuries. Early in her career she had a terrible bike crash that left her almost crippled and unable to walk. Yet she was still able to qualify for the 70.3 World Championships in 2011 and 2012. Then in 2012 she won her age group at Ironman Louisville and qualified for Kona. In today’s podcast, Felicity shares her experience and mindset in racing, coaching and getting back to racing shape after injury. Barbara Peterson’s story is truly inspirational! 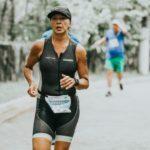 Less than a year after she broke both heel bones (bilateral calcaneal fractures), she was out of her wheelchair and on the starting line in Hawaii at the XTERRA World Championship where she won yet another title. 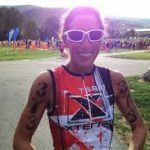 Today she shares how that experience shapes her approach in racing, life, and her work with other athletes. Metatarsal stress fractures are common in runners, and so are the myths that surround them. Do I really have to stop running to get a stress fracture to heal? Does it always take 6 weeks? Doc On The Run debunks the metatarsal stress fracture myths. Ice is often used by runners to decrease inflammation. Believe it or not, there is a right and wrong way to ice running injuries. 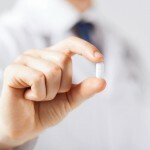 #4: Should runners use NSAIDs when they have plantar fasciitis? Ibuprofen is the most commonly consumed anti-inflammatory drug. 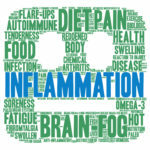 If inflammation is part of the problem, why not take ANTI-inflammatory drugs? Learn why, when and how runner’s use anti-inflammatory medications to get relief…and perhaps even more importantly, when runners should NOT take these drugs. 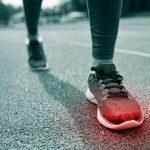 #3: Can home treatment heal runner’s heel pain? Did you know that in the overwhelming majority of cases doctors will recommend that you perform simple home treatments before they prescribe medications or consider more invasive procedures like injections or surgery? When you need to fast-track the recovery process, it always helps to try some simple treatments at home before you see the doctor. This podcast explains how doctors (or even a runner who hasn’t been to the doctor) can treat heel pain with simple treatments that can be performed at home without ever seeing a doctor. Plantar fasciitis may be the most common cause of runner’s heel pain, but it is not the only cause. If you are a runner and you think you have plantar fasciitis but you actually have another condition entirely. As a result, you may not get better. You must understand how runners make the wrong call and fail to get better…and get back to running. This podcast explains the main reasons runners with heel pain don’t get better, even if you think you have the correct treatment. 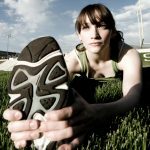 If you have runner’s heel pain that’s interfering with your training, don’t worry, there is help! Runner’s heel pain can be treated and you can run. Discover the approach that helps elite athletes get better even while they keep running. This podcast will explain how to get started on the right foot.